I've always believed that the ultimate expression of empathy is to care about something that isn't human. Natsume's Book of Friends speaks to me because it is about just this kind of empathy. Natsume Takashi is a high school boy who can see yokai. Yokai are spirits, ghosts and monsters -- sometimes dangerous, sometimes horrific, but just as likely to be tiny, uncertain or lonely. This ability has left Takashi feeling ostracized from the rest of humanity. No one else sees what he does, and no one believes him. For most of his life he has drifted, orphaned, between relatives and foster families, unable to form real friendships. Until one day he accidentally frees a powerful yokai named Madara, who tells him about his grandmother, Reiko. It turns out Reiko was just like him. She saw yokai too, and just like Takashi it left her lonely and isolated. Her way of dealing with this was to bully yokai into giving up their names, which she trapped in her 'Book of Friends'. The book now belongs to Takashi, and with it the ability to use these names to command yokai. But Natsume Takashi is not his grandmother. While others would use the Book of Friends to their own ends -- including Madara -- Natsume, attuned to the suffering of others, takes it upon himself to free the yokai instead. This is where Natsume's Book of Friends begins: with Takashi's act of empathy towards creatures that could not be more different from himself -- and yet, are remarkably similar. As he reaches out to help yokai (even though they have made his life so miserable in the past), he learns that they are just like him. Some are outcasts, some are bullied, and so many are lonely too. Even Madara. This powerful yokai says he's only staying with Takashi to claim the Book of Friends when he dies, but they soon establish a strong bond. He guides Takashi, protects him, and in turn they both find companionship. Takashi also begins to make friendships in the human world. His dealings with the yokai and, I believe, the support of Madara gives him the confidence to create bonds with fellow students, and to tentatively accept the love of his current foster family. He even meets a few people with abilities similar to his own. Fear of rejection is always there -- it will never leave -- but so is the strength to push through it. You could say that Natsume's Book of Friends is a very Japanese manga. The artist draws on an ancient tradition for the design of her yokai, and the themes of isolation are well covered in modern manga and anime. But I think it also has a broader connection to a deep part of human nature. It's hard to be different, and it can be risky to open yourself up to others. Natsume's Book of Friends is a study in loneliness and unusual companionships. 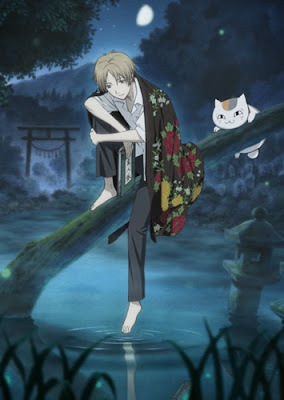 As someone who has always relied on animal friends, I saw a lot of myself in Natsume Takashi and Reiko. He and his grandmother represent two opposing ways of dealing with a very human fear -- loneliness. We all have some Takashi in us, and some Reiko. It's up to us to choose whether we want to be the healer, or the bully. 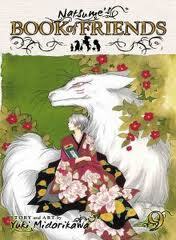 Natsume's Book of Friends is a beautiful manga series. The art starts out a little wobbly but soon settles into a light, ethereal tone that matches its themes perfectly. Takashi's lines are as delicate as his personality. Madara changes between two forms. He is adorable in his lucky cat body, and powerful in his true body -- the great white wolf. The yokai themselves are amazing. From fox spirits, to emaciated ghosts to deformed figures, they fill Takashi's world and make it feel solid. Real. 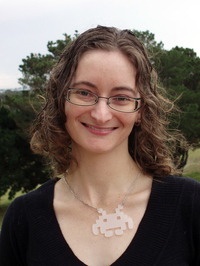 Jo Anderton is an author of science fantasy fiction whose two books, Debris and Suited, are published by Angry Robot. 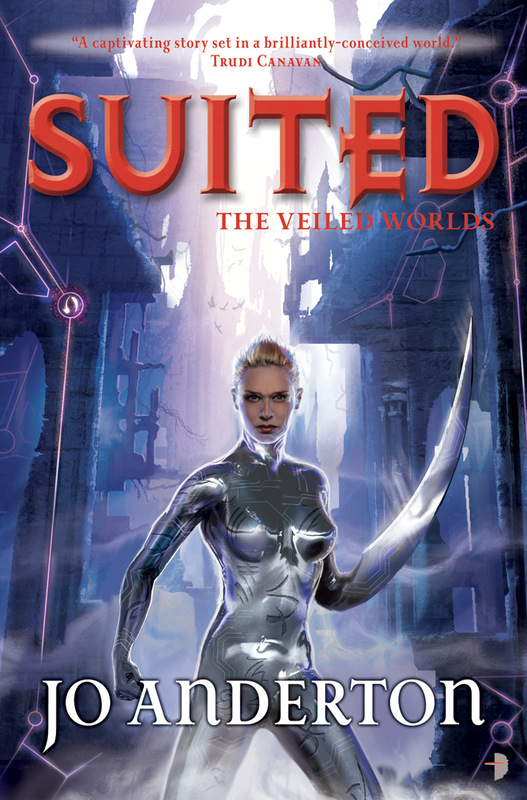 Jo writes about future worlds where technology and magic are entwined. She is based in Sydney.